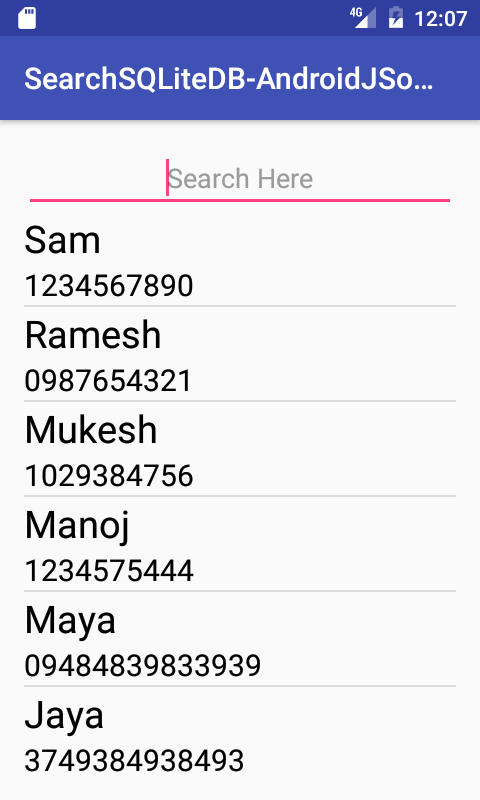 How to implement type search bar functionality to find between multiple SQLite ListView items using EditText in android application. This tutorial is one of the most advanced android application development tutorial because in this tutorial we would going implement Search Box Filter on local SQLite data. The filter is applied where all the data shows in ListView. The data is in multiple form means each column contains two values one is student name second is student phone Number. 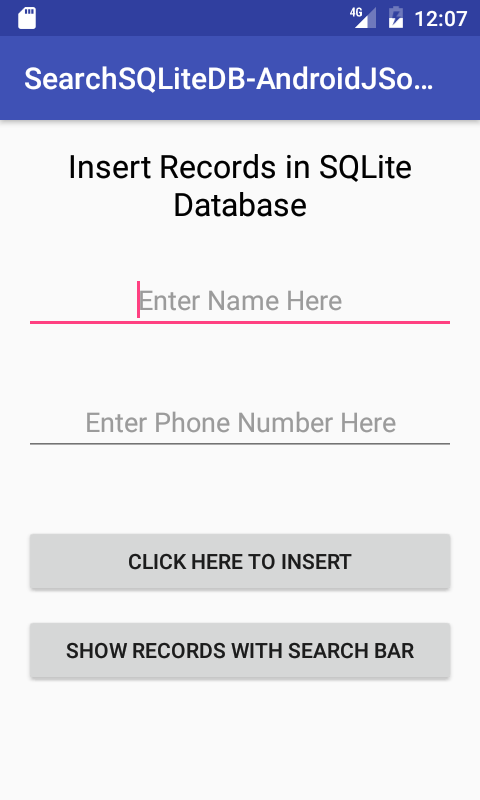 The search filter is designed using EditText So here is the complete step by step tutorial for Android Add Search Box Filter on Multiple SQLite Database Data. Creating SQLite Database with table. Inserting records into SQLite Database using EditText. Showing SQLite data into ListView. Implement Search Box using EditText. Reverting search item clicked value. // Getting Search ListView clicked item. // printing clicked item on screen using Toast message. * Created by Juned on 2/20/2017. * Created by Juned on 2/21/2017. 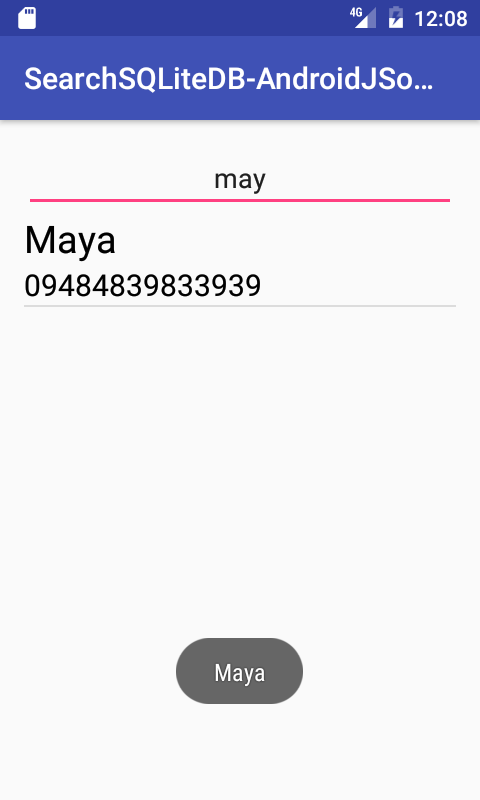 android:text="Insert Records in SQLite Database"
android:text="Show records with search bar"
Code for activity_search_sqlite.xml layout file. Code for custom_layout.xml layout file.